We had a return guest to the Silver Bank this week. 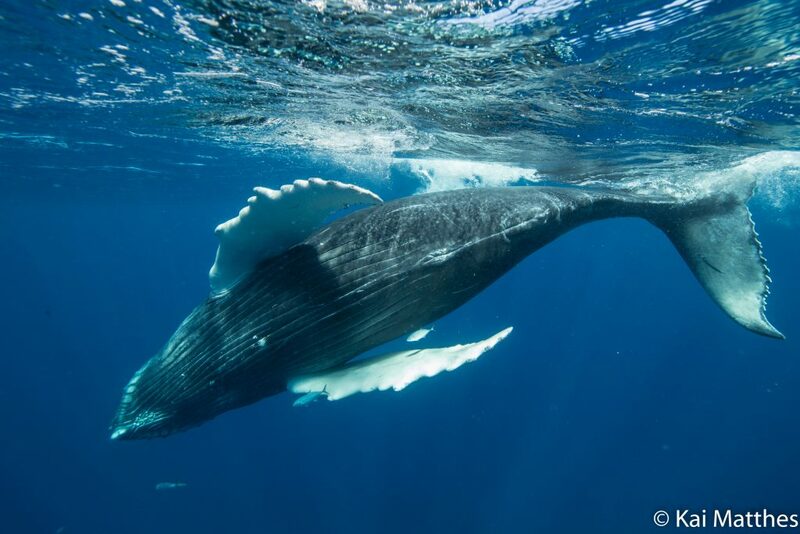 Her nickname is Hook, a beautiful humpback whale with dramatic curvature in her dorsal fin and white scarring on the right side of her snout, suggesting that she favors sand lance. A favorite food for humpbacks in the southern Gulf of Maine, sand lance is a fish that resembles a garden eel. 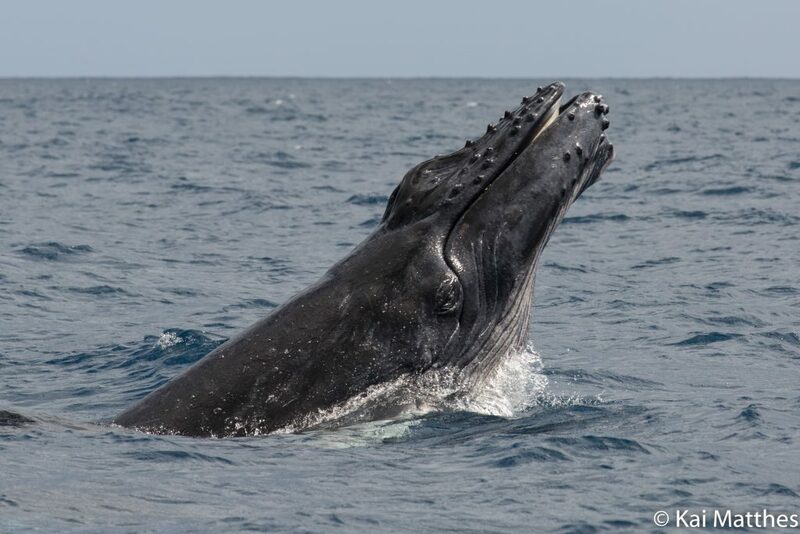 They migrate to the shallows at night and burrow into the sediment, where the clever humpback then digs her snout into the sand and lifts them into the water column to eat. We recognized Hook from a few weeks ago when we spent a whole afternoon with her in the water. Her calf, nicknamed Hook Jr. due to also having a significantly hooked dorsal, is a curious individual who likes to push the boundaries. One day, Hook was settled just off the port side of the mothership, allowing us to take turns being in the water with her over and over. Until Hook Jr. took off, eventually separated by 300 feet or more. 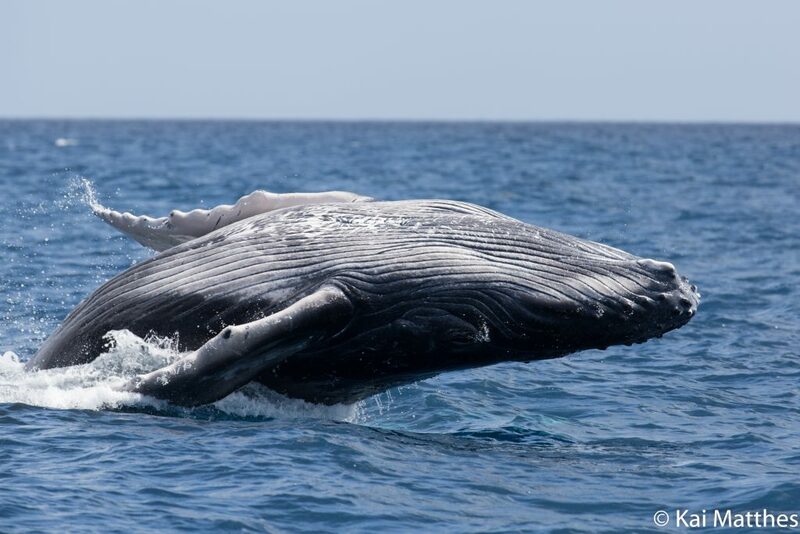 Suddenly, Hook began tail lobbing and breaching, trying to get her calf to come back to her, but Hook Jr. was clearly having too much fun breaching into the sunset. 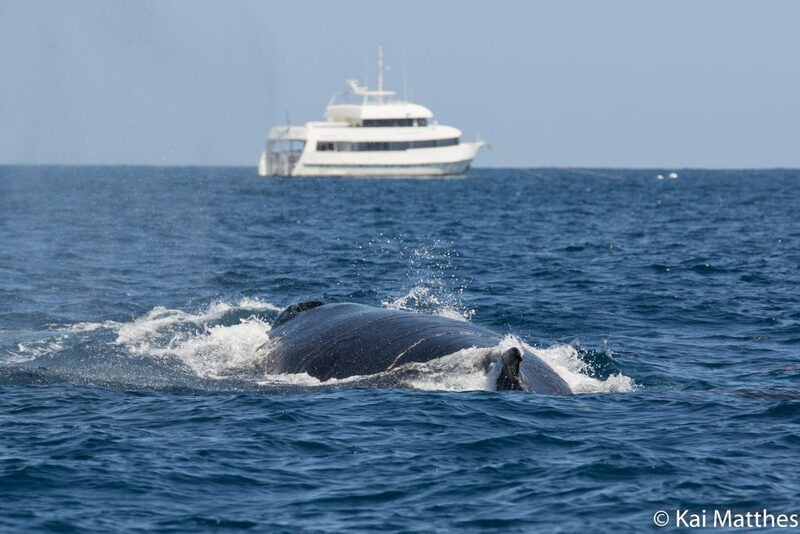 We kept close to mother, driving alongside her as she made her way back to the calf, and we continued to drive alongside while mother and calf continuously breached in unison, as if there was some altercation between them to be settled. I couldn’t help but shed a tear of joy when all calmed down and Hook Jr. lay on top of Mother just at the surface of the water. Perhaps humanized, but to me, seemingly, a lesson was learned, an apology given and an embrace of forgiveness pursued. It was a gift to watch this interaction and very intimate moment between mother and child. The week got off to a great start almost immediately getting out onto the Silver Bank. 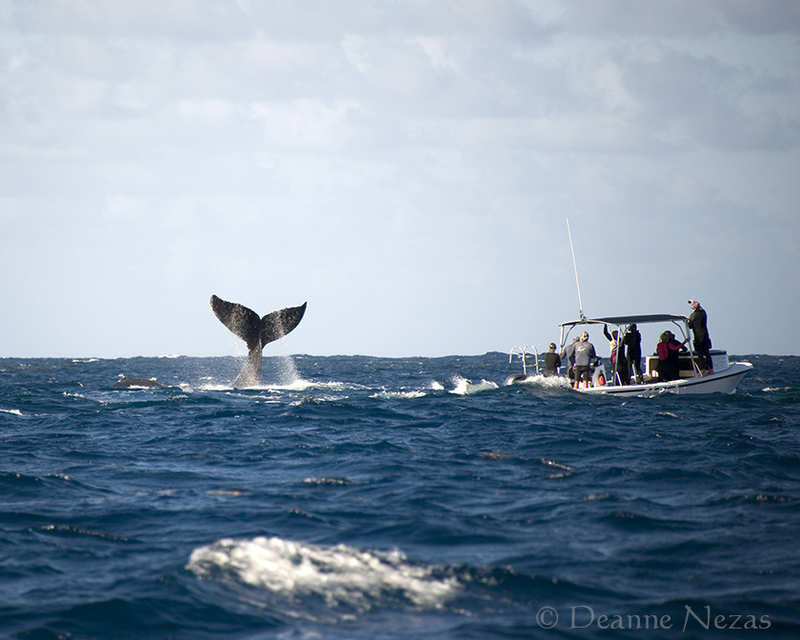 Mothers and calves were plentiful, providing us with lots of opportunity to snorkel with them. 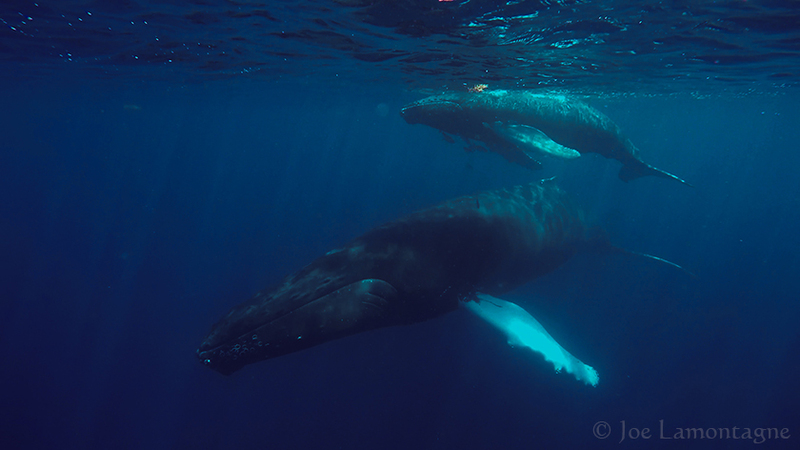 At times, a particular mother and calf who we have seen in previous weeks allowed us to act as babysitters. Mom would settle quite shallowly, allowing her baby, who obviously didn’t want to rest, to play around constantly at the surface where we watched. The calf enjoyed spinning and rolling around while also approaching closely to everyone before turning lengthwise to us and start heading back to its mom. 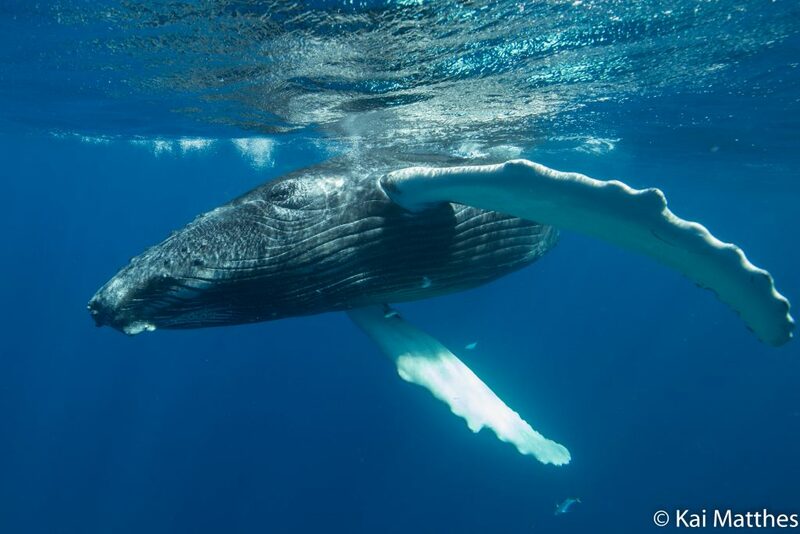 Sometimes the calf’s boldness would surprise us, because instead of staying in front of us, it would circle around the group while staring into the eyes of all the snorkelers. The frequent visits from the calf while mom rested was a highlight for many this week.